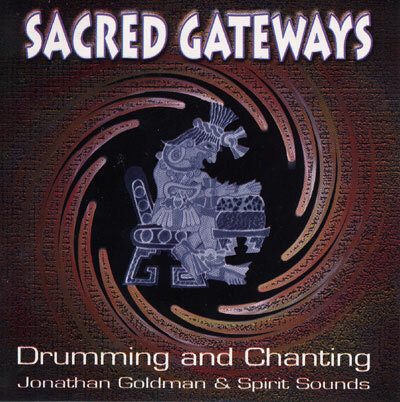 A powerful recording of sacred chants and drumming with Goldman and Chant Masters from various traditions: Native American, Hindu, Mayan, Tibetan and Hebrew. Special guests include: Robert Gass, Don Campbell, Swami Brahmananda, and Eagle Cruz. Sacred Gateways is the power of drumming and chanting. Designed as a sonic environment for initiatory experience, it provides a ritual space of sacred sound. Sacred Gateways is dedicated to the enlightenment of all sentient beings that have been or ever will be. It may be listened to on it's own, or used as a background to enhance live drumming and chanting. Sacred Gateways honours the energy of the directions and the elements, and celebrates divine principles through sacred sound. It features group drumming and chanting with environmental effects, indigenous instruments and voices.